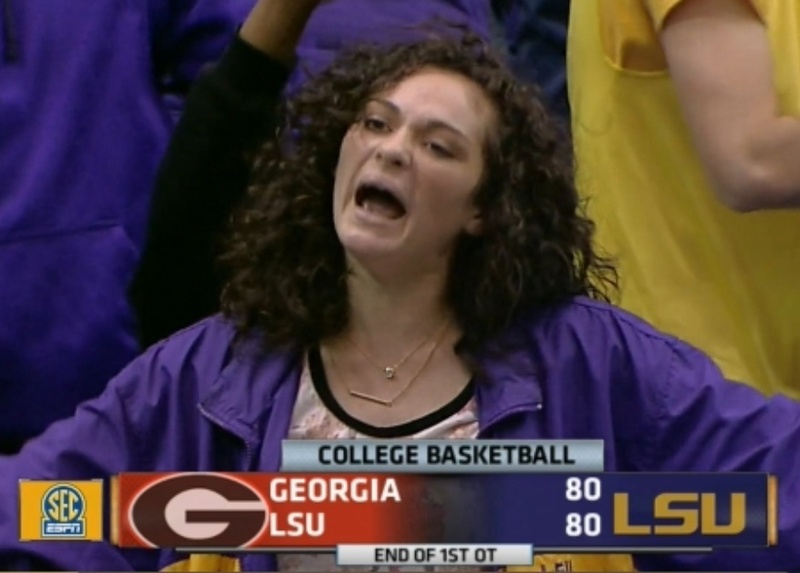 Scarily Intense LSU Woman says it’s never too early for Tuesday Truths. Welcome to the season’s first installment of Tuesday Truths, where I look at how well 131 teams in the nation’s top 11 conferences are doing against their league opponents on a per-possession basis. This year I decided to do something a little different with the season’s first Truths. Ordinarily in mid-January I shield your tender sensibilities from conferences that haven’t played very many games. But for 2015 I’m just flinging them all at you right from the start. Who cares if Kansas has played just two Big 12 games? In future years archivists will treasure this comprehensive week-by-week look at the entirety of the conference season. 1. A slightly improved offense. This would be more amazing than people think, because the Hoos’ offense last season was better than people seemed to understand. But with Justin Anderson doing his best “The Amazingly Accurate World of Derrick Williams in 2011” impression, and Anthony Gill and Mike Tobey gobbling up every miss that every non-Anderson teammate records, these guys have shown the ability to score some points. 2. A slightly weaker defense. (Also known as “Where have you gone, Akil Mitchell?”) From time to time Virginia fans point out that their team is the victim of stubbornly persistent stereotypes. And so it is, but those conventional sound bites can be flattering as well. And the “nothing ever comes easy against Virginia” stereotype may prove to be a smidge less accurate this season. Yes, UVA “held” Jerian Grant to six points on 2-of-7 shooting — and the Irish still scored a point per trip and Grant still dished six assists. “Nothing comes easy against Virginia” weren’t the first words that came to mind when I watched the Hoos’ first half against Davidson, either. 3. A much stronger ACC. Obviously. Louisville has arrived, the aforementioned Grant has returned for ND, North Carolina should be better than what we saw last season, and I expect Duke to make strides over last year on D (despite Sunday’s landslide in Raleigh). I love it when an established coach with a few hundred wins in his pocket deigns to change his style. And, with his sudden transformation into Shaka Smart’s heavyset and less well-dressed half-uncle, Bob Huggins has certainly done just that. Salute. If opponent turnovers come down to something closer to 20 percent while WVU continues to foul like there’s no tomorrow, the result will not be pleasing to the eye. Let’s watch this over the coming weeks. Just last week St. John’s was ranked in the top 25, and now here they are at the bottom of Tuesday Truths looking up at the unprepossessing likes of DePaul and post-McBuckets Creighton. What happened? A total defensive collapse is what happened. 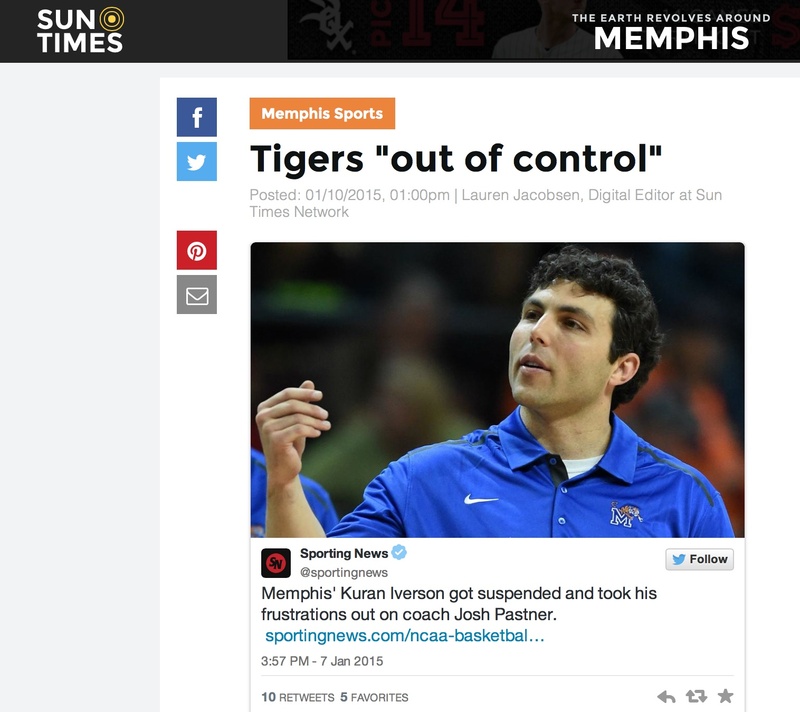 Forget Rysheed Jordan’s on-again, off-again suspension. Unless he’s the second coming of Patrick Beverley, a point guard isn’t going to have a lot to add to a discussion of why a good offensive team that’s committing zero turnovers is allowing opponents to score virtually at will. Steve Lavin needs some defense from whichever guys he has on hand. Butler as lil’ Kentucky — discuss. Ordinarily if you’re shooting 41 percent on your twos you’re not going to score many points. Tell that to Chris Holtmann’s Bulldogs. The men from Hinkle can’t buy a make inside the arc at any price, but it hasn’t mattered because in conference play Kameron Woods and his mates have pulled down a league-best 38 percent of BU’s misses. Really bad two-point shooting and hegemonic work on the offensive boards — it could become a meme for this hoops season. As you no doubt know by now, Traevon Jackson suffered a fractured foot in Wisconsin’s 67-62 loss at Rutgers. Bo Ryan’s point guard will miss an undetermined amount of time but the conventional wisdom seems to be that he will be able to return at some point this season. In theory Jackson’s absence wouldn’t figure to hurt Wisconsin too much. Bronson Koenig was already logging 20 minutes a game, and now that number will increase. I suspect that in Jackson’s absence this will still be the Big Ten’s best offense by a mile, just so long as Frank Kaminsky, Sam Dekker, and Nigel Hayes continue to be present and accounted for. And I suspect that the Badger D will continue to be suspect, with or without Jackson. Wisconsin has opened Big Ten play by allowing opponents to connect on 52 percent of their twos. There will be time enough this season to fully discuss Arizona and Utah, fret not. Meantime I remain morbidly fascinated by UCLA. No team presents a better Jekyll-and-Hyde aspect at the moment than do the Bruins, who are being outscored by 0.29 points per trip on the road in the Pac-12 but are 0.18 points better than opponents per possession at Pauley Pavilion. Identifying featured scorers in college basketball is like giving someone a union card. Once you’re in, you’re in. I can’t recall a single instance where a featured scorer’s ever been busted down to a role player, and, absent a doctrine of coach infallibility, something is wrong with this picture. Of course coaches bench players and replace starters all the time, but that’s exactly what makes Alford’s case so interesting. There’s no call to bench or replace him — he’s a really good point guard. A multi-game experiment where he channels his inner pass-first/spot-up-shooter spirit, however, could well pay dividends. My full thoughts on Kentucky’s very bad two-point shooting and other related Wildcat matters are here. Per @ESPNStatsInfo, Kentucky has been the worst 2-point shooting team in the country since Christmas (33.9%). I thought I was merely being the messenger on that one, but I nevertheless received many informative @ replies indicating that Kentucky is still undefeated. As chance would have it I was already aware of this fact. So one conclusion to draw from three games’ worth of the nation’s worst two-point shooting by an undefeated team could be that the offense doing said shooting may turn out to be more vulnerable than previously imagined. Of course if your team also has the nation’s best defense, a small matter like a marginally more questionable offense need not be the end of the world. We’ll see. American: Out of control or out of context? Whether or not the Tigers are out of control remains to be seen, but in the meantime this is a really bad team on the defensive glass. You can do that and get away with it in the Mountain West, the Missouri Valley, or even for the balance of the AAC season. Still, it could be an issue yet again when you meet up for the rematch with SMU. Better get those defensive boards under control. Davidson likes to shoot a lot of threes, and enough of those shots have been falling this season to raise the possibility that the Wildcat offense may be the best single unit on either side of the ball in the Atlantic 10. With Tyler Kalinosky, Brian Sullivan, Jack Gibbs, Peyton Aldridge, and Oskar Michelson, the Cats have five guys that shoot 35 percent or better from outside. True, Davidson’s defense is nothing special, and this conference race could well go through VCU yet again. Still, with the (apparent) total collapse of Saint Louis it’s nice to see feisty up-and-comers like the Wildcats join the venerable likes of the Rams and Dayton at the top of the league. This should be fun. Including victories recorded in Arch Madness, Wichita State has now won 25 consecutive games against Missouri Valley opponents. Seeing whether or not the Shockers can keep that run going should be good theater, and I’ll place my bet here and now. I say the conference winning streak ends for Gregg Marshall’s team in 2015. Part of my thinking here is that the streak very nearly ended last season: Wichita needed OT to win at Missouri State a year ago this week. Besides, the Shockers no longer appear to have both the league’s best offense and its strongest D, the way Marshall did last season. Ron Baker, Fred VanVleet and the gang may still end the year No. 1 in the MVC for points per trip, but it looks like teams like Northern Iowa and Illinois State have at least closed the gap on D.
Pretty much everyone expected that San Diego State would have its way with the MWC this season, but it now appears likely that the Aztecs will have some competition. Steve Fisher’s team is as incredible as ever on D, however SDSU has trouble making shots and holding on to the rock. Meanwhile Wyoming sits atop the standings as the league’s only undefeated team. (Just ignore the efficiency margin for now. Like UNLV, Utah State, and Air Force, the Cowboys have already benefited from what grimly determined hoops technicians in white lab coats term the “‘We Played San Jose State’ Inflation Factor.”) Larry Shyatt has perhaps the league’s best player in Larry Nance Jr. and his team’s home court lays claim to the highest elevation in Division I. You have to like Wyoming’s chances to be there at the end in the round-robin Mountain. West Coast: A streak yet to come? In the other corner we have BYU, a pretty good team and perhaps the main obstacle to the Bulldogs going 18-0. And what happens? The Zags play in Provo on December 27. (Gonzaga won 87-80.) This should have been the last game of the season, not the first. Then again this week Mark Few’s team heads to Malibu to take on a Pepperdine team that looks more respectable than any group of Waves since the one that Paul Westphal took to the 2002 tournament as an at-large seeded on the 10 line. Maybe Marty Wilson’s men can inject some drama into this WCC season yet. This entry was posted in counting things, hoops, tuesday truths on January 13, 2015 by johngasaway.